The kids are home from school and all they want is something to eat. You just got the kids to bed and you have unexpected company at the door. You are stopping by a friends place for coffee and want to bring a little treat. 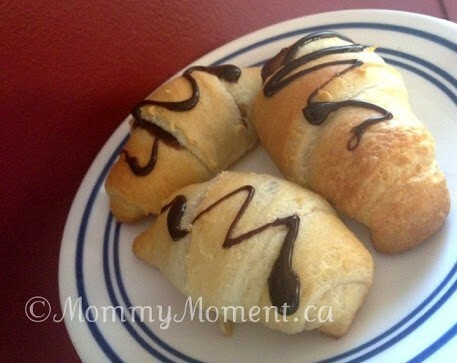 Pillsbusy Chocolatey Crescents come to the rescue! 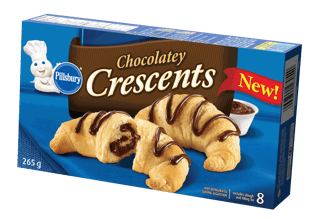 Pillsbury’s new Chocolatey Crescents are a quick, simple and delicious way to fill an afternoon snack gap or are awesome to have on hand for those times you want a fresh baked treat without taking up too much time or creating a big mess. These crescents are perfect for that sweet breakfast treat on a Saturday morning. The chocolate center combined with the light fluffy pastry makes the perfect pair to a side of strawberries. 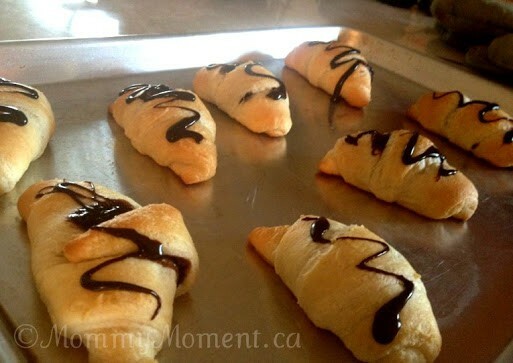 Pillsbury Chocolatey Crescents are very simple to make thanks to the packaging and design of the product. Simply remove from their tube and roll out. Gently tear along the clearly labeled cut lines, add the chocolate, roll up and you’re almost done. Place in the oven and drizzle with some more chocolate and it really is just that simple. Our daughters have gone nuts over these pastry treats and they are gone in no time! Get your hands on these Pillsbury Chocolatey Crescents and your family and guests will enjoy the same oh-so-gooey, flaky goodness where flaky pastry and chocolate co-exist. Oh those look so yummy. I keep seeing them everywhere. They make me want to try them. Crescents are awesome on their own, I am sure these are FAB!! The look delicious! I hope they come out with cream cheese danish filled ones too.